The whole lot of fun that comes from different YouTube channels ranging from entertainment, music, and lifestyle down to the amazing videos that come from exciting game episodes, keep a regular youtube audience not just entertained, but also busy and thrilled. The combined efforts of different YouTubers create the unique experience the audience needs. A good example of such creative youtube channel is George Devin Milar’s popularly known Moosecraft. George Devin was born on November 21, 1998, in Pennsylvania, Monterrey. He bears the name ‘Devin’ after his granddad who was killed during the war. The conditions surrounding his birth and his unique resemblance of his grandfather earned him that name. Not much is known about his parents, he is however not an only child as he has a younger brother. Growing up as a child, Moosecraft exhibited the ability to create stories that appeal to a potential audience through its episodic features. He started out playing with childhood toy images and pets which triggered his excitement after every climax and victory. His love for such sports drove him into creating a platform that would actively showcase his passion so that when he was just 14 years old, he launched his first YouTube channel in 2012 through the help of his family and friends. As a blogger and YouTube content creator who uploads Minecraft videos, he started with a single youtube channel but eventually acquired 9 other different channels making it 10 separate channels with 6 being relatively active. His channels include Moosecraft, MooseBlox, Moose life, Mau5craft Moose play, Moose pole play, Moosemods, Life of Moose, Life of Lucy (where he features his favorite puppy Lucy), etc. Currently, the creative gamer spends his daily life in his house in Miami, Florida. His fan family is renowned as the ‘Moose clan’. The typical way Moosecraft derives the names for his works, channels and everything pertaining to it made him to be regarded as so “Moose-ish”. He is renowned to have an estimated number of 1.5 million YouTube subscribers. This is in addition to colleagues and friends in the content creating art. Such friends are in the likes of unspeakablegaming, fairemysabre, 09sharkboy, jaybull, etc. 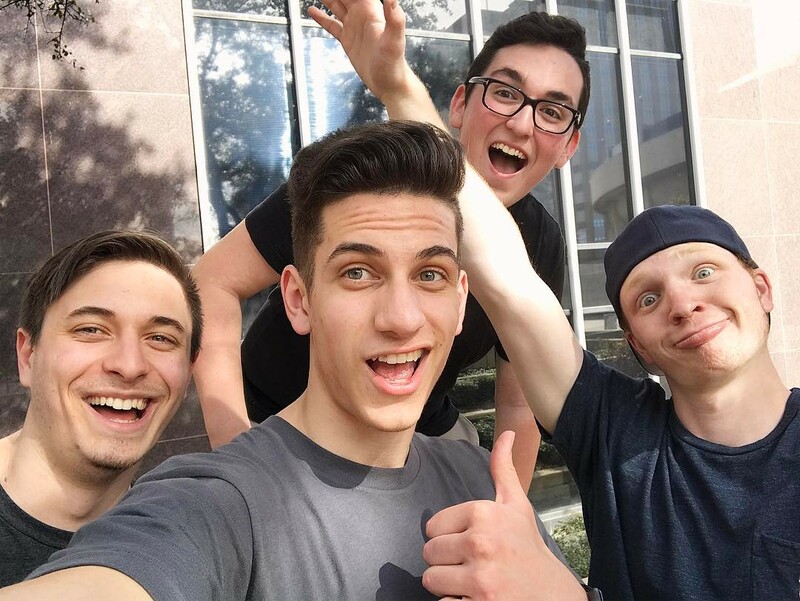 Amongst all these YouTubers, he had a closer relationship and history with unspeakablegaming and O9sharkboy who were his partners under the YouTube group “The Squad arm”. Together, they worked on their YouTube goals on different channels and made top YouTube trendings. Moosecraft and Unspeakablegaming were also part of the “Proper productions” before making brand names of their own. Unspeakable and Shark also make up part of his YouTube characters along with Lucy, his favorite dog and a top celebrity in the Minecraft video shows called Tik-Tok. On Tik-Tok, he posts daily funny and adorable videos of Lucy and himself. Lucy is also perceived to be a lifetime parody of 6ix9ine and Nicki Minaj released on moose YouTube channels. The presence of Lucy both as a physical and featured character has created a unanimous and unique fancy for Moosecraft. In 2017, he received an official award from YouTube for surpassing the target of one million subscribers with 1.5 million subscribers on his channel. The award improved his identity and recognition as a top YouTube entertainer. Moosecraft has an estimated net worth of over a million dollars which are his earnings from his several Youtube channels. He reportedly makes $24, 102 monthly from YouTube. Obviously, many of us would be excited to know what Mr. Moose loves. Apart from his favorite dog Lucy, Moosecraft also loves cars. His love for super and trending cars are amazing. That’s why he often entertains his fans and subscribers with his unalloyed view and preferences on car choices. That was also the inspiration behind his “Ride to revive” hangout where he hosted children, drivers, and other volunteers. His personal supercar with the customized Moose design is an awesome one to behold. George is also active on other social media platforms including Facebook and Twitter where he equally enjoys huge followership. Conclusively, even as a youth, Moosecraft still inspires many through his relentless passion for entertainment and his drive to keep producing content that adds value and appeals to a committed YouTube audience.